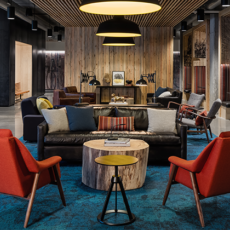 Intereum and Herman Miller helped maximize the unique building's features through furnishing solutions. 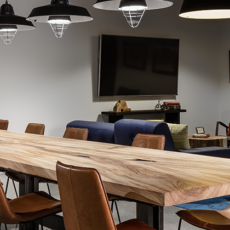 Working with Hines and the T3 team, we helped create a 3rd work environment outside of the offices/tenant areas. 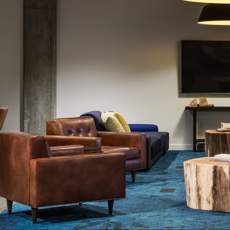 Calling these "lifestyle amenities", the space offers meeting spaces, comfortable touch points, and other conveniences to support social and productive activities. 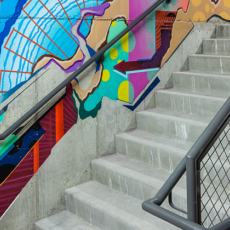 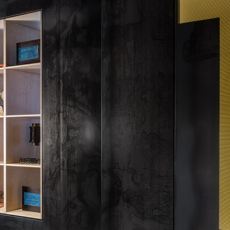 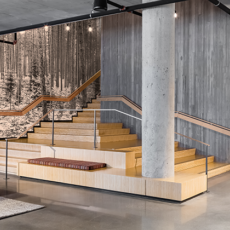 With a certain aesthetic in mind that would align with the building's features, Intereum served as a guide for product selection to help meet budget, aesthetic, and durability requirements. 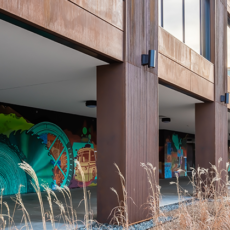 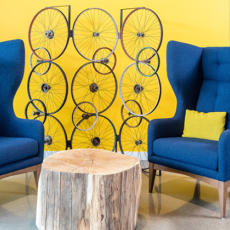 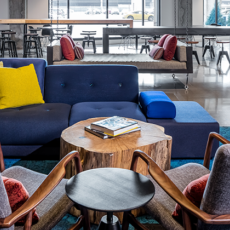 Comfortable furniture, colorful aesthetics, and convenient touch down spaces create a host of opportunities to connect and be productive in the T3 Building.